Puck is a flexible system that allows versatility of many configurations and the look of a contemporary merchandising fixture. It offers the flexibility of quick change, with a few simple turns, a wide variety of fixture options are available that mount right to the puck panel surfaces. 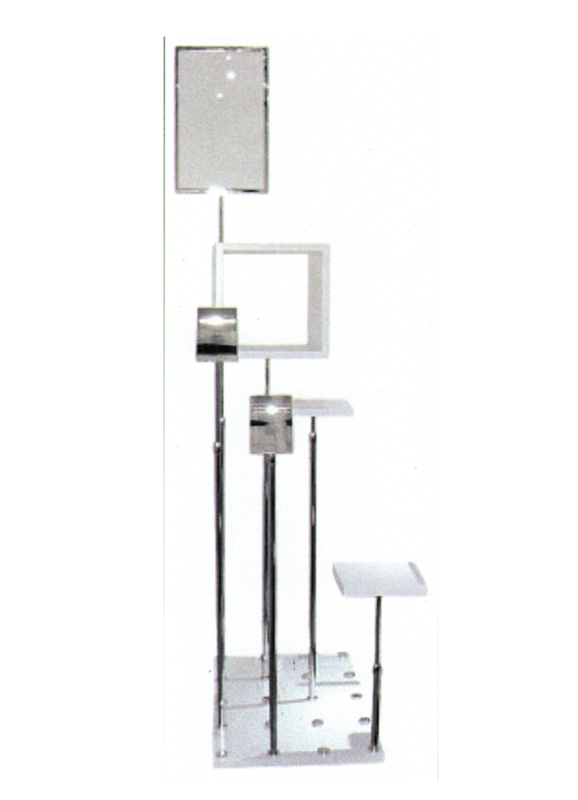 Puck panels can be wall mounted, suspended or made into versatile platforms. This system available in endless finishes to help create contemporary design aesthetic. 48” x 7/8 Non-adjustable upright and WB12. Wood and plexi box on fitting with removable plexi box insert on 3059 ADJ-TS, ASR48 angles shoe riser on 917ADJ-TS and WFSR wood flat riser on 917 ADJ-TS. 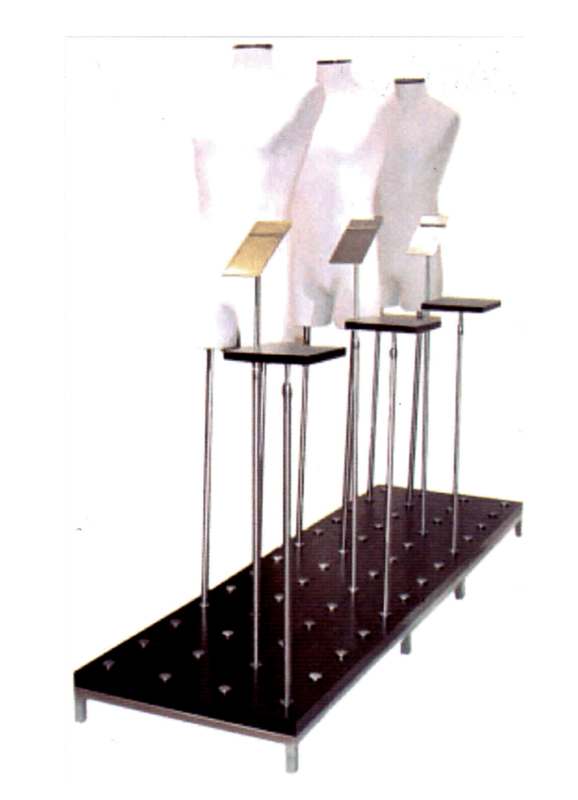 Puck base 24” x 84” with 59 holes with Men’s 3/4 form. 48” x 7/8 non-adjustable uprights plus ASR metal angles shoe riser and FSR-flat wood risers on 917 ADJ TS uprights. Puck base , WFSR wood flat risers 8” x 8” on 611 ADJ-TS, ASR angled shoe riser in metal polished chrome. WB1212, 12” wood box with fitting on 3059 ADJ-TS and MC1117-11” 17” sign holder in polished chrome on 3059 ADJ-TS.